I had the pleasure of experiencing the fun World of Coca-Cola during Spring break and boy! What a blast! My family and I definitely had a fantastic time! It's one of those discoveries that you would want to go back to over and over again. Needless to say, it has made it to our family's regular travel vacation destinations. And with Mother's day just around the corner, If I could, I would go there in a heartbeat and celebrate it there! But since I can't, maybe YOU can! If you're looking for something unique, out-of-the-ordinary and fun-filled to gift your mom, your wife or your mom-friend this Mother's day, look no further. World of Coca-Cola wants to give one lucky mom the same pleasure I experienced at their museum through YOU! READ ALL ABOUT MY EXPERIENCE HERE: Discovering the World of Coca-Cola. Make sure to read my tips on the Taste It station then oogle through my photo journal for some amazing photos to make you wish you were there now! World of Coca-Cola is giving away 4-tickets valued approx. $56. Just tell us what your best Mother's day gift was. Received or given. Good luck! 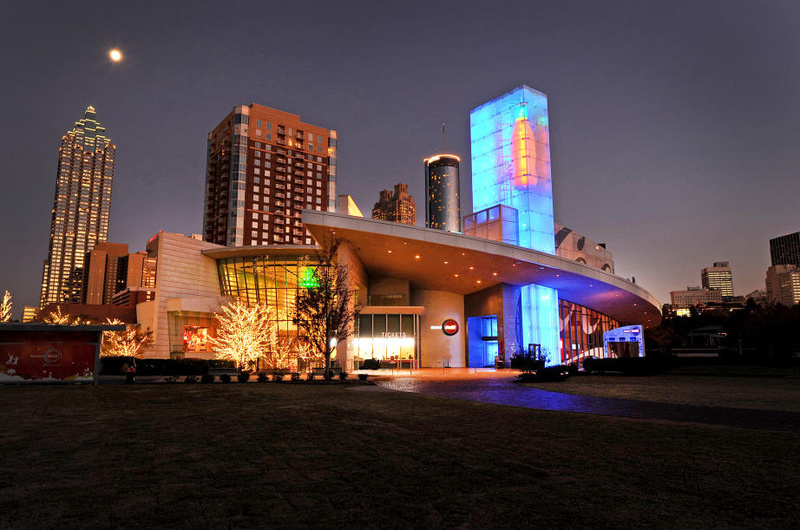 The World of Coca-Cola is the 100,000-square-foot Atlanta attraction dedicated to the history of Coca-Cola. The original attraction opened in 1990 in Underground Atlanta, and welcomed 13 million guests until it closed when the new World of Coca-Cola opened. The World of Coca-Cola at Pemberton Place opened its doors in May 2007 and celebrated its fifth anniversary last year. The attraction is now the home of the 126-year-old secret formula for Coca-Cola. For the first time, guests can see and get within just a few feet of the actual Vault of the Secret Formula for Coca-Cola. David Clayman: Abstract Wood Constructions at the World of Coca-Cola features decorated veteran David Clayman’s interpretations of the iconic Coca-Cola bottle through 15 original wood constructions. The new World of Coca-Cola has welcomed guests from six continents, more than 75 countries, all 50 U.S. states and the District of Columbia. The attraction also welcomed its 5 millionth guest in January 2012. Of the estimated 712,000 visitors to Atlanta from outside North America in 2010, 11 percent experienced the World of Coca-Cola during their stay. Attraction guests can see more than 1,200 Coca-Cola artifacts and the fully-functioning bottling line that produces a commemorative glass bottle of Coca-Cola for every guest. World of Coca-Cola guests also can join in a multi-sensory 4-D movie experience and taste more than 60 beverages from around the globe – and of course, visit with the Coca-Cola Polar Bear. The World of Coca-Cola is LEED-certified and was awarded a Gold rating by the U.S. Green Building Council. Visit World of Coca-Cola for more information. +Coca-Cola sponsored this giveaway. All opinion is ours. My favorite Mother's Day gift was the earrings I got while I was pregnant with our first child. I wear them everyday! My favorite dinosaur is the t-rex. I love getting gift cards. It feels weird when someone gets me something, I like going picking out something for myself. The best present I got was a homemade scrapbook my kids made me last year! The best gift I had on Mother's Day 2007 was having a healthy first pregnancy and days later the birth of my oldest daughter whom I'm so proud of. 6 years later I am loving being the mom to two little girls and can't believe God chose me to be their mommy.